Waialae Gardens are located on Kilauea, Hunakai and Keanu Streets in Waialae Nui Valley. This property consists of wood-framed townhomes and a six-story low-rise concrete building. 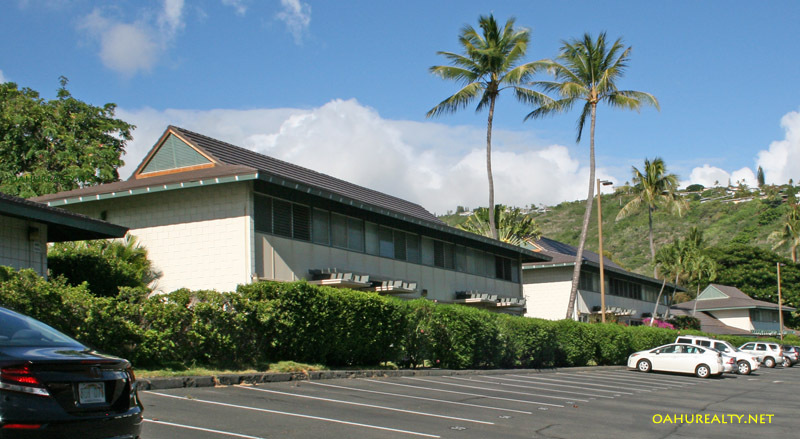 Each residence at Waialae Gardens has one parking stall. Street parking is available. 100 townhomes in two bedroom, two bath configurations with split levels and 1,035 square feet interior space. 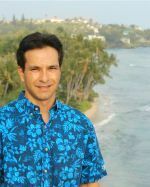 32 townhomes with three bedrooms two bath single level units are at the ends of some buildings, with 1,010 square feet interior and private outdoor lanai areas. Each townhome has its own clothes washer and dryer. Waialae Gardens were built between 1966 and 1972. 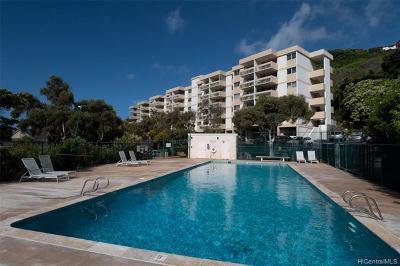 Originally sold in leasehold, the majority of the units have been converted to fee simple. Two bedroom townhomes are split level. 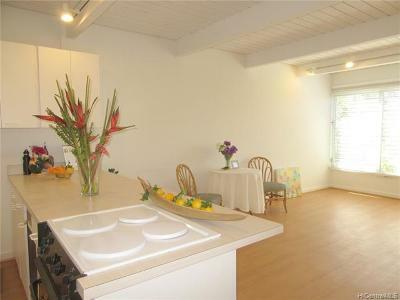 A small bathroom with shower is adjacent to the kitchen. Storage is underneath the staircase. Clothes washers and dryers are commonly installed in the closet. Three bedroom townhomes are single level. 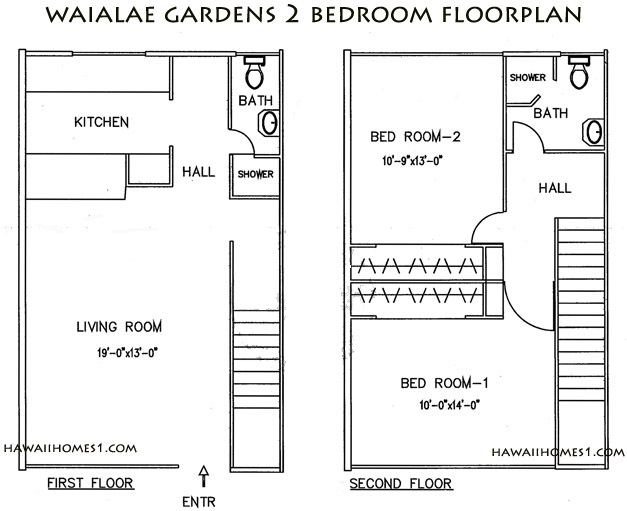 A lanai (not pictured) is adjacent to the living room and usually enclosed with a hedge for privacy. 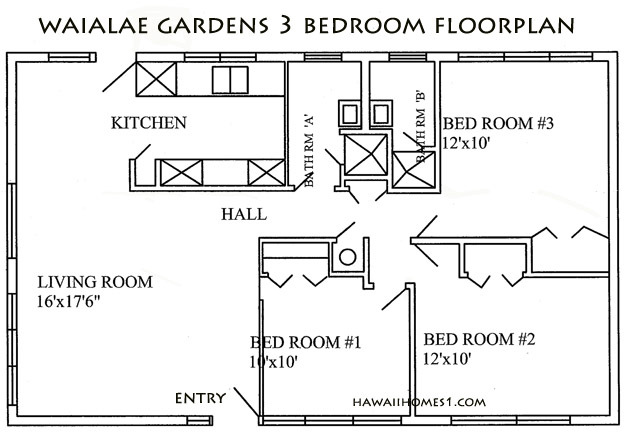 The Waialae Gardens building is a low rise with 50 units, all one bedroom with 624 square feet interior. Units from the third floor and higher have larger lanais. The building has an elevator a swimming pool. Each unit has its own clothes washer and dryer.